This week's Daily Record column is entitled "2011 Tech Trends for Lawyers." In 2011, there will be rapid technological changes for everyone, not just lawyers. Internet-based technologies will continue to shape the technological landscape as never before. The rapid increase in the use of mobile computing via smart phones and tablet computers will drastically alter the way that people interact and work. Social media and cloud computing will dominate the scene, with each shaping and affecting our lives and workplaces in ways never before imagined. Lawyers are, however, a unique demographic and because of their particular needs and goals, will use these technologies differently than the general population. First, lawyers will begin to purchase tools that will provide them with greater mobility and flexibility. I predict that by the end of 2011, most lawyers will own a smart phone. Those in large firms will continue to use Blackberrys, at the mandate of their IT department. However, as iPhones and Androids continue to dominate the smart phone market, solos and small firms attorneys will undoubtedly move toward adopting these more flexible and user-friendly smart phones over Blackberrys. Tablet computer use will also increase in popularity amongst attorneys. The iPad will lead the way, although many lawyers will also choose to use PC-based tablets. Lawyers will use tablet computers primarily for the consumption of content, including newspapers, books, and other types of media. As more user-friendly applications are developed, lawyers will also increasingly use tablet computers to review and annotate PDF documents. That way, instead of lugging around huge files, lawyers will have the ability to read and edit large files right on their tablet, from virtually any location. Two other trends to watch are the increasing use of two Internet-based technologies by lawyers: cloud computing and social media. Cloud computing--where data and platforms are stored on servers located outside of a law office--is on the rise. For many lawyers, cloud computing is an affordable and flexible alternative to traditional server or desktop-based software platforms. 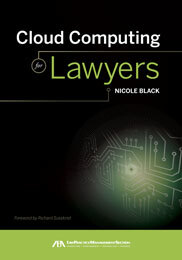 In 2010, legal ethics committees across the country issued opinions offering guidelines for lawyers hoping to use cloud computing platforms in their practice. The issuance of guidelines was encouraging and offered lawyers a useful road map that ensured the ethical deployment of cloud computing platforms in their practices. Accordingly, as the comfort level for cloud computing increases along with demand, more innovative legal cloud computing platforms will be developed and the vendors will become increasingly responsive to the ethical concerns raised by lawyers. Social media use will continue to increase as well. Recent studies have indicated that blogging by the general population is on the decline, replaced instead by micro-blogging using sites like Twitter and Tumblr and status updates on Facebook. However, for lawyers, professionals who stand to benefit from blogging, I predict that the use of blogs by law firms will increase slightly. Blogs serve the dual purpose of increasing a law firm’s search engine rankings while showcasing the firm’s legal expertise. However, legal blogging will not be as popular as was in year’s past and rate of the deployment of new law blogs will slowly begin to decline in 2011. Twitter use by attorneys will either remain steady or decline, while their participation on Facebook and LinkedIn will increase drastically. This is because the functionality of Twitter is changing and is used to share information rather than interact. I predict that lawyers will flock toward sites that allow them to interact and network and thus Twitter use will decline. 2011 will no doubt be the year of the mobile attorney. Lawyers will increasingly work and network from mobile devices. Internet-based technologies, including cloud computing, will be used more frequently in law practices. It will be exciting to watch these changes take place and re-shape the practice of law as we now know it. Should judges use social networking sites? This week's Daily Record column is entitled "Should judges use social networking sites?" Sixty one percent of all adults online now use social network- ing sites like Facebook and Twitter, according to a recent report from the Pew Research Center called “Generations 2010.” Of course, because of regulatory and professional ethical con- straints, social networking isn’t for everyone. Which begs the question: Should judges use social media? If so, should limitations be placed on their interactions? Since 2009, ethics commissions in a number of jurisdictions have struggled to address this issue, and the majority have concluded that judges can interact on social media sites with the lawyers that appear before them. The minority view was expressed by the Florida Supreme Court’s Judicial Ethics Advisory Committee in November 2009. In Opinion 2009-20, the committee concluded that although judges could join and participate on Facebook, becoming “friends” with attorneys who appeared before them was impermissible. The committee reasoned that allowing judges to do so would give the impression that the attorney was in a position to exert special influence upon the judge. This determination was later reaffirmed by the committee in Opinion 2010-06. Many commentators, myself included, have criticized this opinion, arguing that online connections are no different than those made offline. Certain types of offline interactions with judges have always been considered acceptable and are commonplace, such as lunching or golfing with a judge. Online “friend” connections are comparable to offline interactions and should not be forbidden simply because the medium for the interaction is different. The committees in other jurisdictions that later addressed this issue agreed with this premise, issuing decisions grounded in the idea that online and offline interactions are comparable and should not be treated differently. That’s good news for judges already using social media, which, according to a recent study issued by the Conference of Court Public Information Officers (see: www.ccpio.org/newmediareport.htm), is a whopping 40 percent of all judges. For those judges, and the lawyers that practice before them, it’s heartening to see that the majority of ethics committees are issuing forward-thinking opinions that permit judges and attorneys to network both on and offline. The Florida committee’s minority determination, on the other hand, which fails to acknowledge the reality of the 21st century world in which lawyers and judges exist, is unlikely to withstand the test of time. 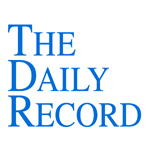 This week's Daily Record column is entitled "Holiday gift ideas for the mobile attorney." For those of you wondering what gifts to get the tech-savvy attorney in your life, look no further. If you’re seeking gift ideas for attorneys seeking mobility and flexibility, you’re in luck this holiday season — there are a number of great tools available that make it all the more easier to get work done no matter where you are. First, if the attorney doesn’t already have a smart phone, or is due for an upgrade, there are two obvious choices: an iPhone 4 or an Android phone. These two phones are taking over the smart phone market, and in my opinion, are the only ones worthy of attention right now. Word out on the street is that Sprint’s EVO 4G is the best of the Android phones and gives you access to Sprint’s 4G network, assuming that it’s available in your area.If you choose to buy an iPhone for your tech-savvy attorney, make sure to pre-load it with the following apps, all of which make it easy to work from any location: 1) Dropbox, a free app that allows you to store your doc- uments in the Cloud; 2) Dragon Dictation, a free app that enables surprisingly accurate voice to text transcription; 3) the Fastcase app, a free app that provides you full access to their entire case law database so that you can conduct legal research on the fly; 4) The ABA Journal’s free app that aggregates their very informative blog posts; and 5) Yap voicemail, a free app that improves the iPhone’s native voice mail system. Next up, forego an eReader and invest in a tablet computer. In my opinion, within the next two years, single function eReaders will be replaced by tablet computers, which offer the added bene- fit of being a fully functional computer that also runs eReader apps. If you’re not an Apple fanatic, then the newly released Android tablet, the Samsung Galaxy Tab, is a good choice. And, if you’re willing to wait, the much-awaited Motorola MOTOPAD, the “official” Googletablet that will run Android 3.0, is expected to be released in 2011. However, if you settle on the iPad, the best tablet available right now in my opinion, make sure to pre-load it with these apps: 1) Drop- box, a free app discussed above; 2) Goodreader, a $2.99 app that makes storing, accessing and marking up PDFs a piece of cake; 3) Evernote, a free app that allows you to collect, store and easily access notes, images and more; 4) the free Kindle app, which turns your iPad into an eReader; and 5) Desktop Connect, a $14.99 app that facilitates remote access to your desktop computer. Another must-have for the road warrior attorney is a personal mifi device. These small devices, most of which are the size of a credit card, provide you with a personal hotspot via a 3G or 4G data network that up to 5 devices can connect to at one time. I use Verizon’s Mifi, which costs $60 per month. Other options include Sprint’s Novatel device for $60 per month and AT&T’s MiFi 2372, which was just rolled out in November and data access costs $50 per month. Finally, if your mobile lawyer doesn’t already have one, a Netflix subscription is in order. Live streaming video over the Internet is the wave of the future and will soon largely replace all other ways of accessing and viewing movies. Netflix apps are available for most smart phones and tablet computers, making it possibleto stream movies no matter where you are. I'm going to be speaking in Denver on Thursday, December 9, 2010. I'll be speaking at the Colorado Bar Association's IP luncheon about social media for lawyers. You can learn more about the seminar and/or sign up for it here. I'll be bringing along a few copies of my book "Social Media for Lawyers: The Next Frontier," which will be available for purchase at a discounted price for those who will be attending. As an example of social media in action, I have dinner plans on Wednesday night with @gerkmana and @idealawg, arranged via Twitter. I'm toying with the idea of a short meetup for drinks afterward, but am not sure how well I'll be holding up because of the time change. But, I'm easily swayed, so if you happen to be in Denver and would like to join us for a quick round of drinks on Wednesday night, leave me a message in the comments or contact me via Twitter (@nikiblack). Needless to say, I'm very much looking forward to my short trip to Denver. Perhaps I'll see you there!